The Flex-Braid Hose Sleeving Kit is the answer to protecting your engine hoses for added reliability. This kit provides an affordable alternative to stainless steel, and will give your car that authentic "race" look. Designed for easy "slip-on" installation. 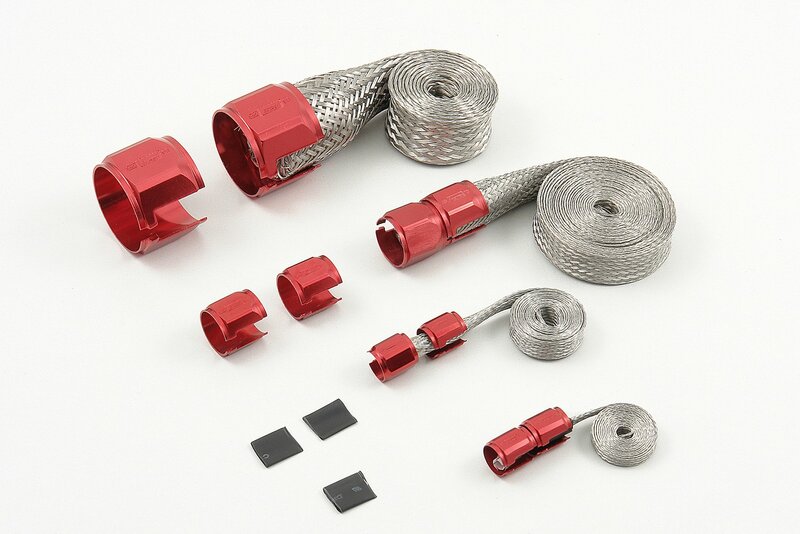 Red Flex-Braid Hose Sleeving Kit includes, aluminum caps, braid to cover radiator, heater, fuel, and vacuum hoses. Braid is made with stainless-steel so it won't rust.